THIS HAPPEND AFTER AN UPDATE. 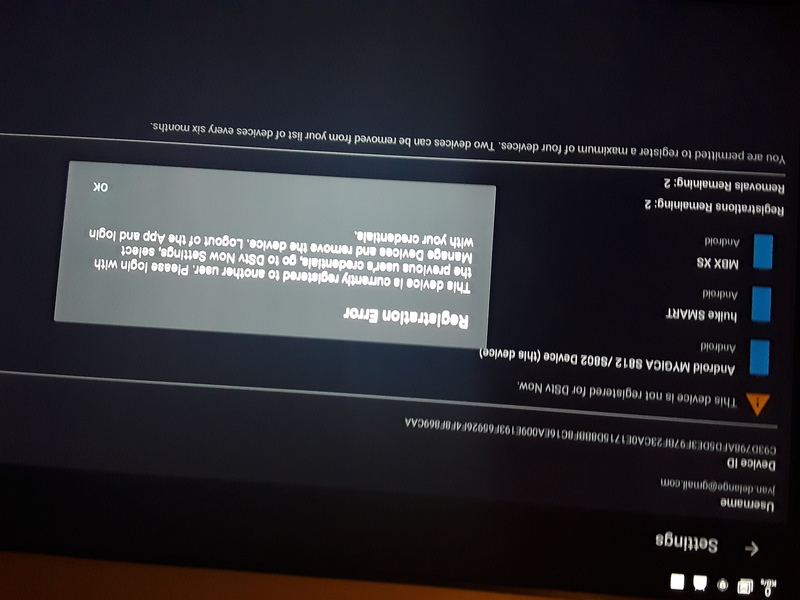 THE DEVICE WAS WORKING 100% UNTIL TODAY??????????????????????????? The same happened to me yesterday. What is the solution? Their is no solution to this right now. The issue is with the DSTV app itself. They decided to make their app only work with Google Certified Devices, this is the first time I've ever seen an app do this before. 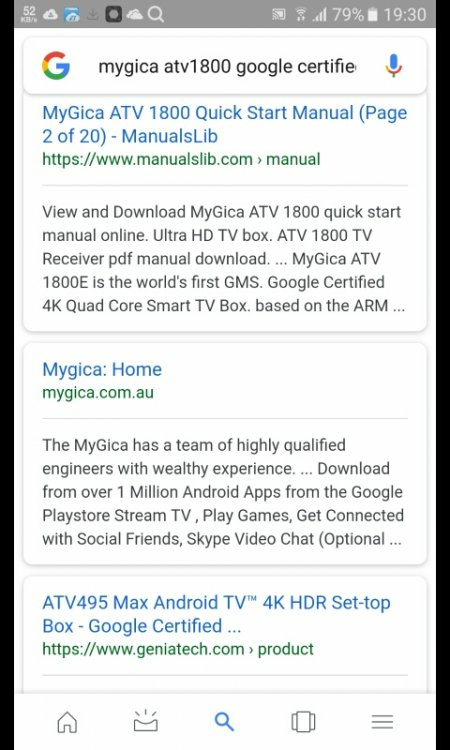 How do we get the MyGica devices to be Google Certified? How do I install the previous version of my dstv now app? "Well D, it shouldn't have worked to begin with, the app has never supported the device.~HBB"
I know this has been asked before but how do you revert back to the old version? 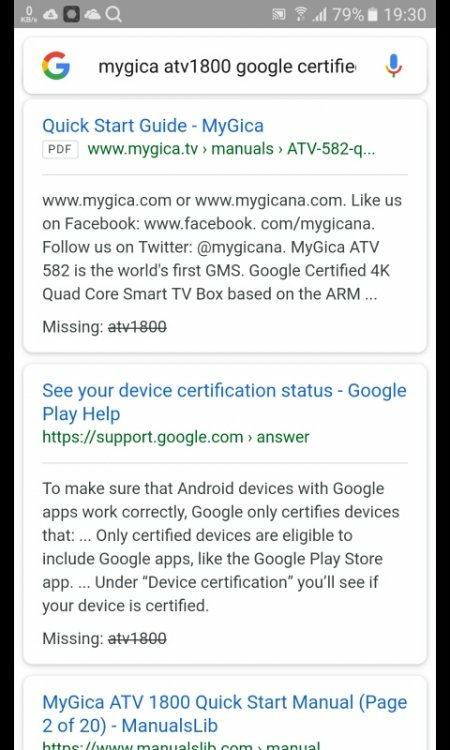 Mygica must update the firmware of the boxes to make them Google certified!! Thank you so much for sharing the version, it works. As I have said on other posts, getting the devices certified by Google is not possible. So maybe I am delusional but I am pretty sure it was said the Atv1800, 582 was Google certified. See my attachments for claims made and a screenshot of what the app states. 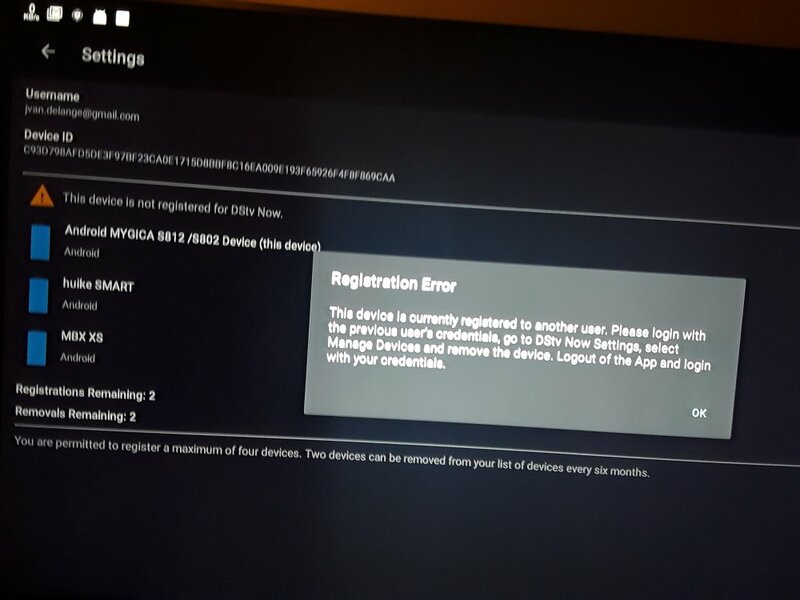 We here in South-Africa cannot use the DSTV app as it appears that there is again the issue of the device ID. Justin, thanks for helping us in this matter. 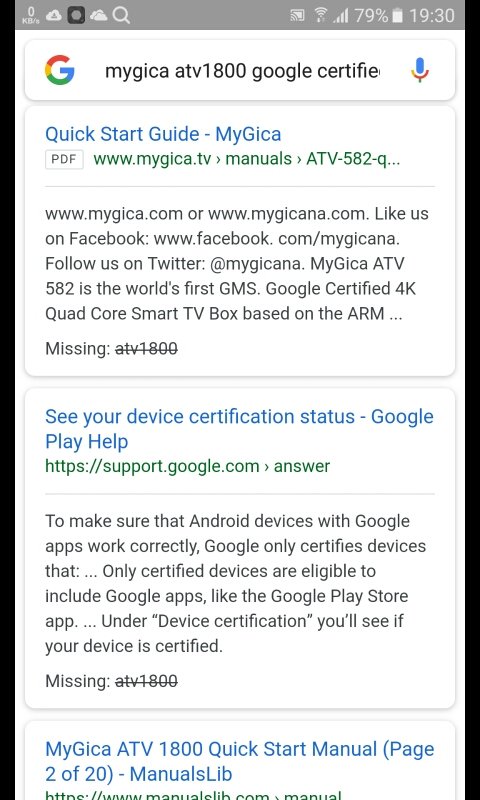 The issue is not Device ID, it is because the devices being used are not Google Certified. DSTV decided to make their app only work with Google Certified Devices on their recent app update. We're trying to find a work around for this, but cannot promise anything. DSTV owns the app and the content also, this is how they have chosen to make their content available to their customers. Its a way of protecting their content. If I we're a customer of DSTV, I would be complaining, after all you are a paying customer. How do you install a previous version of the app? Hi All, thanks for all the great tips here, my issue now. I uninstalled the dstv now app, installed older version and switched off automatic updates. Once I go out the app, the next time it says cannot play video content and I have to repeat the process of uninstalling and re-installing app. DSTV Now has removed support for all android media players not running android TV OS and those that are not Google Certified. DSTV removed compatibility with these devices without notification in January 2018, however, some devices that were not able to run OTA (‘Over the Air’ updates) have only been updated recently, so some devices may still have worked until updated. There was a work-around that was based off an older version of the DSTV Now APK, however, Multichoice has archived and discontinued all pre-2018 versions of the application, thus the work-around no longer works. DSTV’s official reasoning behind the decision to remove all android media players is still not fully known, apart from mention that they are upgrading security protocols in the App. When the application is installed on a device that is no longer supported, it will give all various errors; from false root error responses, loss of internet connection, to resulting in a failure to connect to servers / services. At the moment the only MyGica device in South Africa that is on the ‘supported list’ is the MyGica ATV495Max. Please see first link to XDA for a more insightful and detailed explanation. Pls can you give me a step by step process once u have copies the frameworks ID? How can I access the old DSTV version?